There are a lot of beautiful destinations in Canada connected by thousands of kilometers of road. 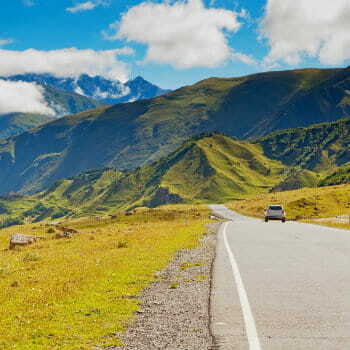 A rental car is the best way to explore this vast country and discover hidden gems. If you are new to renting a car, VroomVroomVroom has put together a basic guide to finding the perfect vehicle so you can hit the highway. Where can I rent a car in Canada? Simply use our search form above to search for a car rental in Canada. You can check our location pages for tips on what to do and when to visit certain areas. Just specify the location you would like to pick up and drop off the car, the dates you will need it and the age of the driver. Our easy-to-use comparison system will allow you to compare rates from top suppliers in Canada like Avis, Thrifty, Budget, Alamo, Dollar, Hertz and Enterprise. When you have found a car to suit your requirements, simply fill in all your details to reserve it, and receive an instant confirmation email. Commonly drivers must be aged over 21 to rent a car, but this can differ between provinces. For drivers under 25 a daily surcharge will apply. The surcharge still applies if anyone under 25 is listed as an additional driver. Remember that this varies from company to company. Some vehicle types may also be restricted. What is the best type of car to book in Canada? If you are renting an economy or compact car, smaller models like the Kia Rio, Chevrolet Spark, or the Hyundai Accent are perfect for you. Mid-size models such as the VW Jetta, Hyundai Elentra and Toyota Corolla are suitable if an economy car is too small for your taste. A full-size vehicle is the right fit if you are travelling with a bigger group, or need plenty of space for storage. Popular vehicles are Nissan Rogue, Jeep Grand Cherokee and the Ford Escape. Looking for the most popular winter rental cars? Click here. You must have a valid driver's license to be able to rent a car in Canada. You will not be allowed to drive if you have a learner's permit. If you are travelling to Canada from another country, check to see if you need an International Driver's Permit. You will need to present the permit along with a valid license issued by your home country. You will also need to bring a credit card in your name. What types of driver's licences do I need to rent a car? Before renting a car, be sure to check if your driver's licence is valid, not expired and that it has all the required information. Other car rental companies may also ask for more supporting documents. A driver's licence can fall into one of four types: valid, expired, suspended and revoked. If your licence is not valid, it is either expired, suspended or revoked. Visit this page if you want to learn more about the different rental rules for each car rental company in Canada. Most rental car companies require that you provide a major credit card when you when you pick up your vehicle. The credit card should be under the same name as the primary renter. 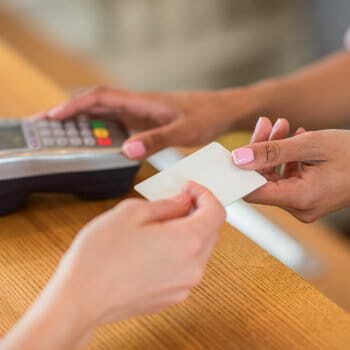 Luck for you, some suppliers are now accepting debit cards backed by Visa/MasterCard for your car rentals. Please check our suppliers' Terms and Conditions page for each supplier for more details. Make sure you are familiar with the terms and conditions of your rental, and do not drive to any restricted areas. For example, most rental cars are not able to be taken off sealed roads. If you have a mileage limit, take care to stay within it or you will be charged extra. Also, don't forget to fill up the car before you return it as you could face extra charges if you return the car without a full tank. Can I make a reservation for a one way car rental? Please keep in mind that most suppliers permit one-way rental for neighboring locations. To confirm if your one-way rental is possible, visit the VroomVroomVroom website and enter the pickup location. Simply take out the tick of *Return to same Location* then enter the return location. Note also that one way fees are included in total cost. Suppliers have one way fees in rates sent to the car rental display, if they apply. Can I drive a rental car from U.S. into Canada / Canada into U.S.? Both American and Canadian citizens can cross the border into either country in a rental car without difficulty provided they have all the required documents and have permission from the rental company. For Canadians driving to the U.S. in a rental car, just be sure to ask for any fees that may apply and inquire for the necessary documents from your agency. Americans should have no problem driving a rental car into Canada. However, if you are a dual U.S. / Canadian citizen or have a permanent residence in the country, make sure to ask the rental company to issue you a Canadian Non-Resident Insurance Card. Read our Driving Across the U.S. - Canadian Border: What You Need to Know to get more information. How does car rental insurance work in Canada? Whether you are using your own personal insurance, third party insurance or your rental company's excess reduction products, it is important to know what you are covered for and what is excluded from your policy. Your insurance may not cover you if you are renting a prestige vehicle. At the rental counter you can also pay for optional extras like prepaid fuel tank, GPS, and child seats. Keep in mind some of these extras you will need to have requested in your initial booking. Payment for these extras will be taken at the counter. If you want to know what coverage options are offered by rental car agencies, read here. Contact us today via phone, email or live chat should you need help with your car rental booking.